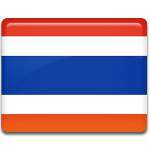 Constitution Day is a public holiday in Thailand. It's observed on December 10 to celebrate the anniversary of adoption of the first Constitution of Thailand in 1932. In June 1932 a group of military and civilians staged a bloodless revolution, that lead to the end of the absolute monarchy in Siam (present-day Thailand). These people formed the People's Party (Khana Ratsadon), that drafted the provisional constitution, also known as Temporary Charter. King Prajadhipok was given an ultimatum and he signed the charter, that limited his power. This charter paved the way for the first constitution, that established constitutional monarchy in Siam. The constitution was promulgated on December 10, 1932. It stated, that the sovereign power belonged to the people of Siam, but the executive body would be the king, rather than the government. The royal power would be exercised with the advice of the People's Assembly, the State Council and the Courts. Constitution Day is a public holiday in Thailand, people have an additional day off to enjoy free festive events and concerts.